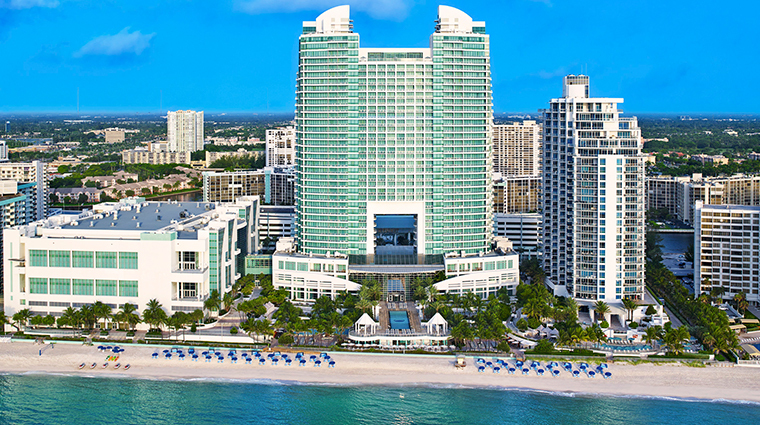 Since first opening its doors in 1958, The Diplomat Beach Resort has played host to a roster of A-list guests, from the Kennedys and the Rat Pack to Judy Garland and Liza Minnelli. 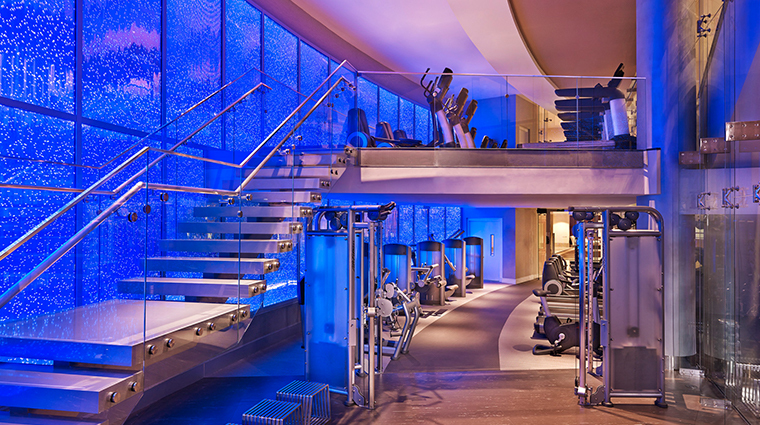 Thanks to a $100 million renovation in 2017, the mega-resort now boasts 1,000 guest rooms and suites, two pools, 10 restaurants and bars (many of which are helmed by celebrity chefs), and an array of high-end amenities (a recently refreshed spa and updated fitness center provide plenty of wellness-focused offerings), resulting in a destination that adds luxury to leisure. 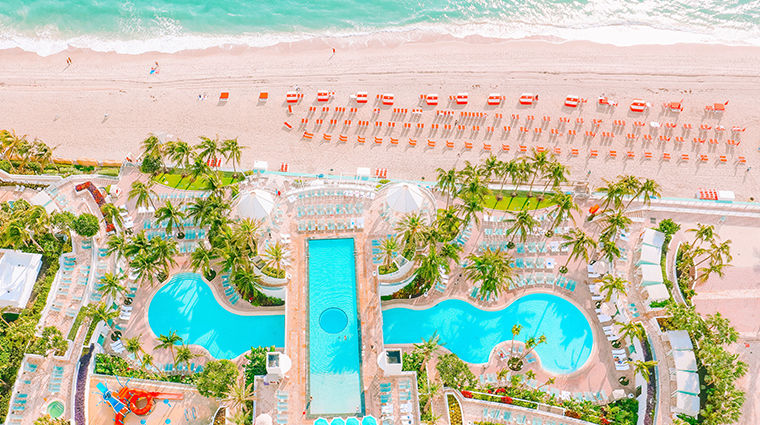 The oceanfront hotel sprawls across 10 acres on a narrow stretch of land fronting the Atlantic Ocean and Intracoastal Waterway in Hollywood Beach, which rests midway between Miami and Fort Lauderdale, offering a prime perch from which to soak up the South Florida sunshine. 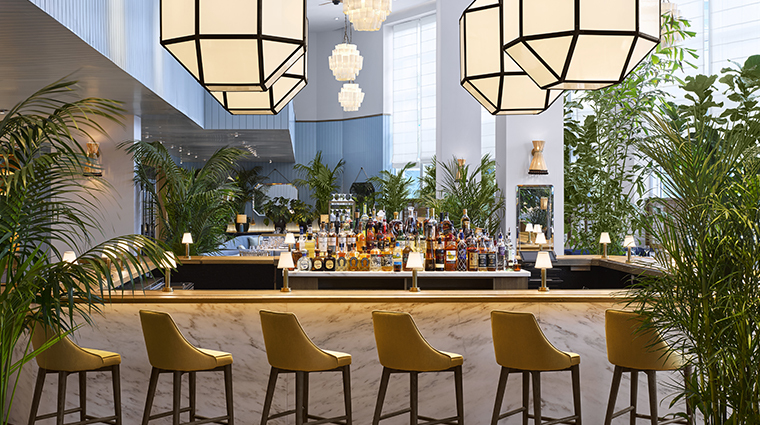 A tropical throwback motif guides the design as a nod to the luxury hotel’s idyllic location. You’ll enter through a high-ceilinged grand foyer into a towering atrium with palm trees and jungle ferns. Rattan chairs, vintage wood tables and sun-weathered fabrics accentuate the beach-chic vibe. 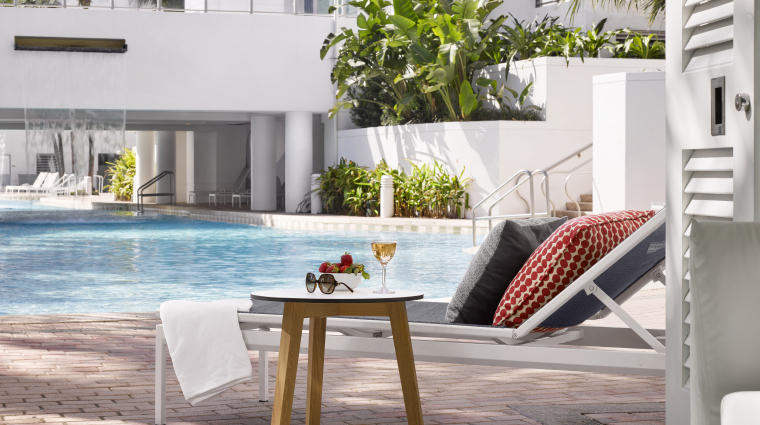 Head to the bi-level pool area for a fun-in-the-sun kind of day. Adults can relax by the infinity pool on the upper level while the kids make a splash on the Dip + Slide water playground. Big names, including designer Trina Turk, led the re-imagining of the new brightly colored poolside cabanas. Across from the valet drop-off area, a skywalk leads to Diplomat Landing, where you will find additional courtyard entertainment and casual pubs. 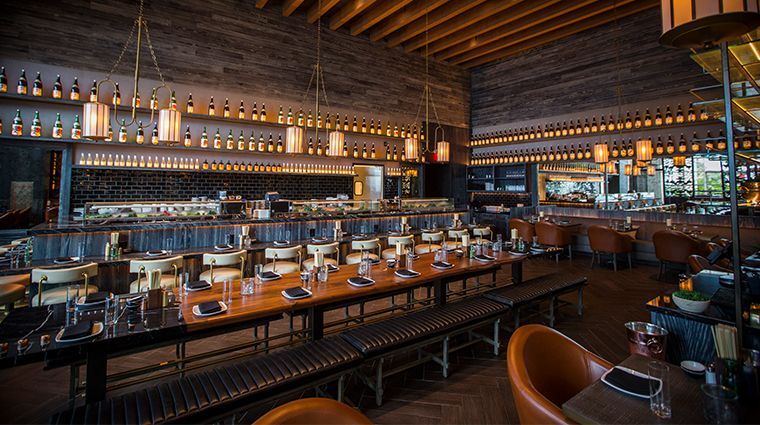 Expect top-notch, anticipatory service. The staff is well-trained, accommodating and friendly, and the common areas are large enough that you never really feel overcrowded — a good thing as the sheer volume of people who visit the popular resort could become overwhelming to some. 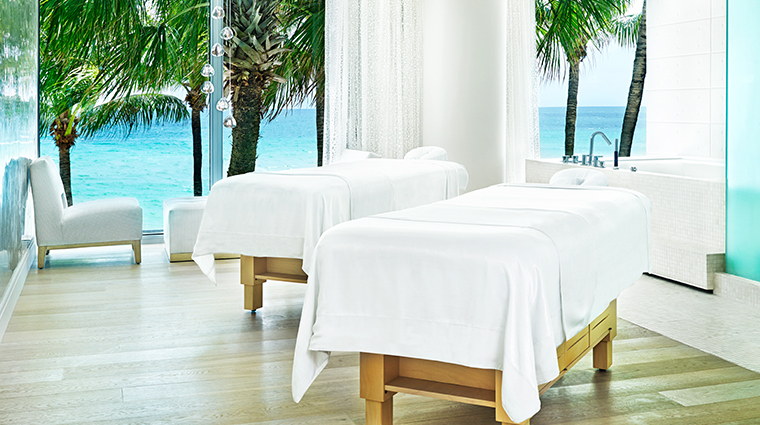 Thanks to a 2019 refresh, The Diplomat Spa + Wellness is lighter, brighter and more sumptuous than ever. 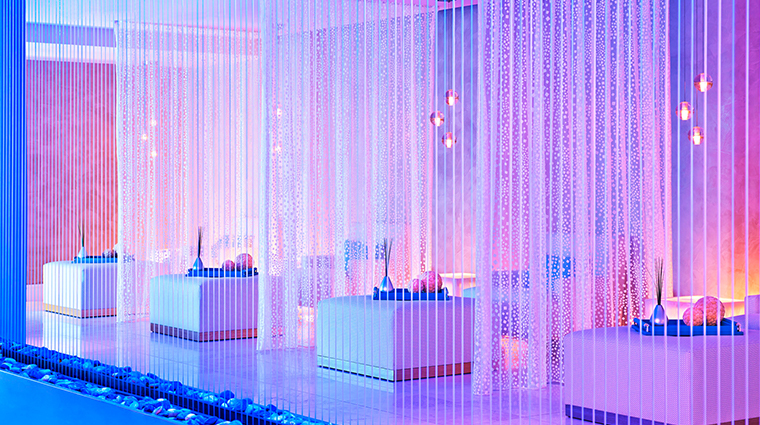 A signature sound and scent experience welcomes you into the stylish space, while rejuvenating treatments incorporating everything from rose quartz crystals and gemstone face rollers to CBD oil and an O2 oxygen chair will leave you feeling refreshed. 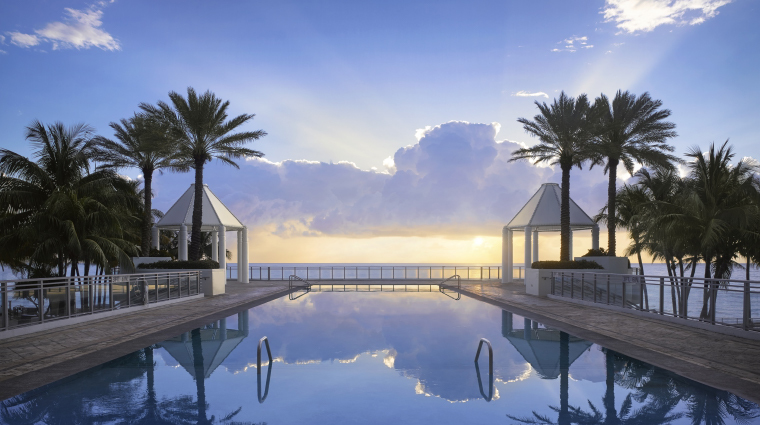 With an ideal location — a short drive from Miami and Fort Lauderdale —the property seeks to please a wide-range of guests, including families, large groups, sun seekers, foodies and business travelers. 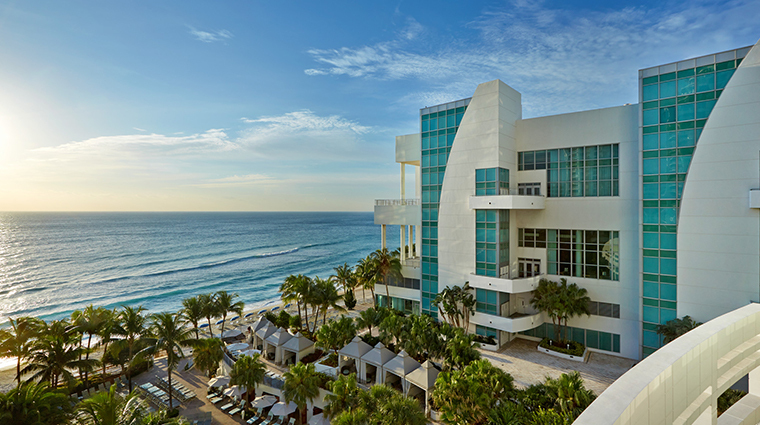 The Diplomat’s 209,000 square feet of flexible meeting and function space — including a 50,000-square-foot Great Hall, four ballrooms, 39 breakout rooms and an outdoor venue on the pool deck — make it a go-to for conferences and weddings. Oceanview rooms don’t necessarily guarantee superior vistas. Intracoastal-facing accommodations are equally as scenic, especially with regular yacht traffic and spectacular sunsets. The Hollywood Beach Resort offers Diplomat Restaurant Delivery to satisfy your craving from any of the restaurants on property, day or night. The Diplomat Kids Club keeps ages four to 12 entertained with building sand castles, arcade and poolside games, bounce houses and behind-the-scenes resort tours. 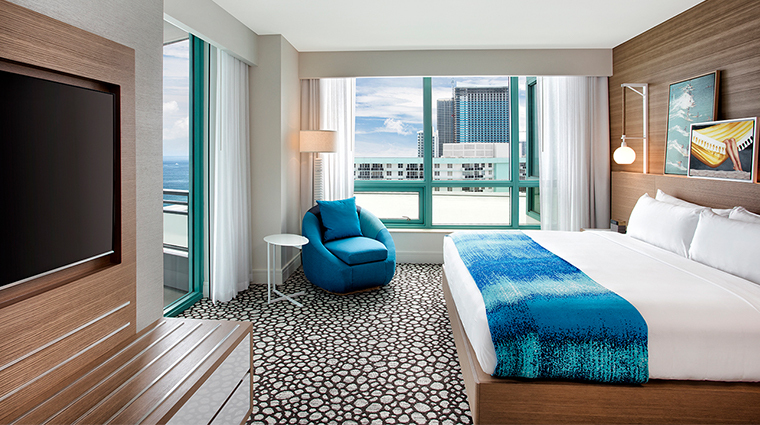 Design firm Hirsch Bedner Associates is behind the redesign of the 1,000 guest rooms, which all feature one of two idyllic color schemes — sunrise or sunset. 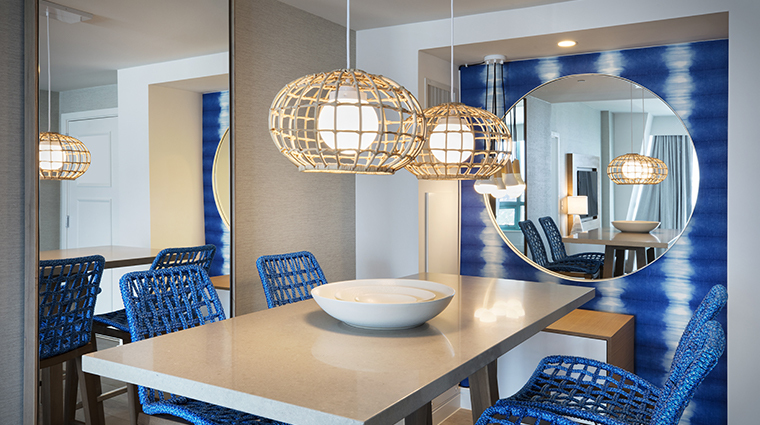 Sunrise rooms showcase vibrant décor with earthy tones and ocean-blue accents, while sunset-themed accommodations have a more sleek, modern look that mimics South Florida’s stunning evening sky. 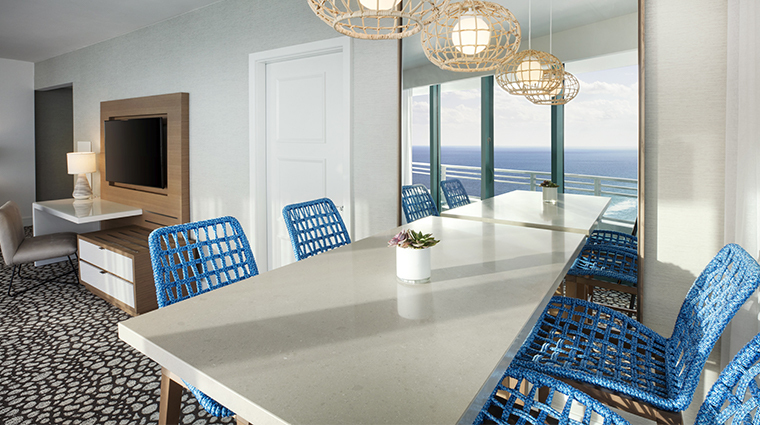 All rooms provide views of either the Atlantic Ocean or Intracoastal Waterway, while most suites boast 180-degree vistas of the tropical surroundings. 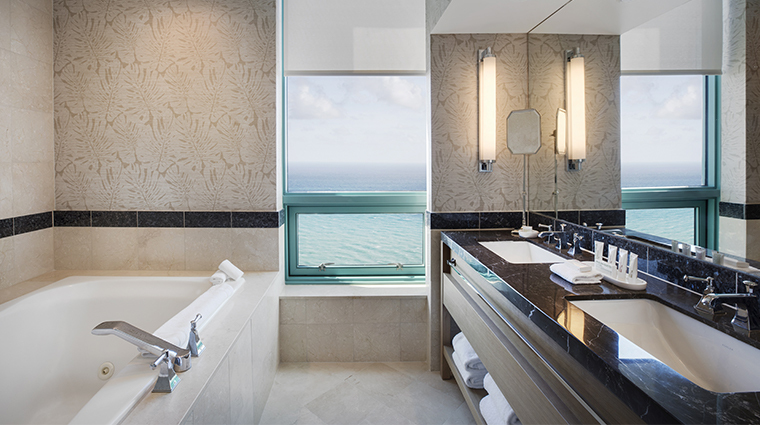 Sumptuous sand-toned bathrooms offer deep-soaking tubs and separate glass-enclosed showers stocked with C.O. Bigelow amenities. 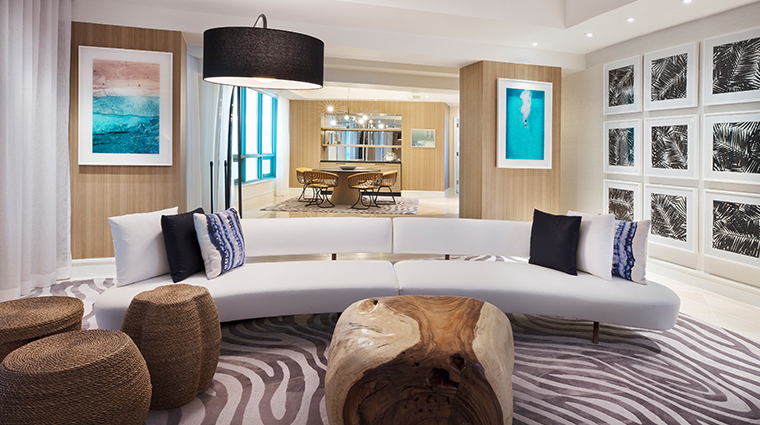 Luxury suites are generously sized with expansive living and dining areas designed for families and groups. 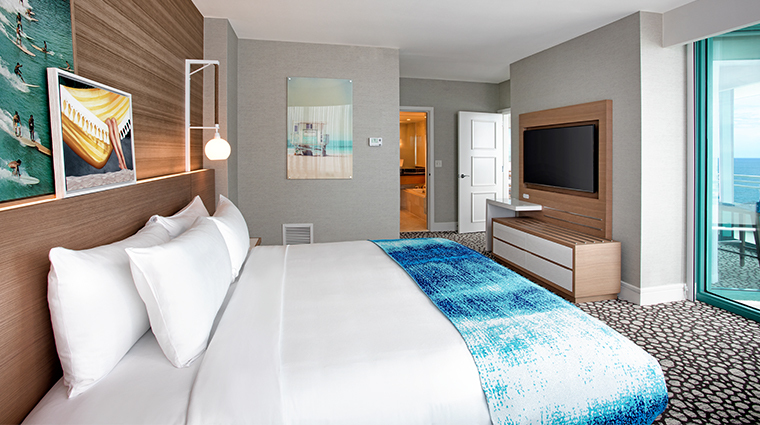 Hand-tufted rugs, natural wood furnishings, driftwood headboards give off a Florida beach vibe. To enjoy The Diplomat’s most lavish accommodation, book the Presidential Suite. Topping out at 1,550 square feet, the palatial space has a two-person Jacuzzi in the master bathroom, a 60-inch HDTV with Google Chromecast in the full living room, a dining table for six and a private oceanfront patio. Celebrity chef Michael Schulson’s Monkitail does a contemporary take on classic izakaya, coupling sharable Japanese-inspired fare with craft cocktails, sake and the discreet Nokku lounge. 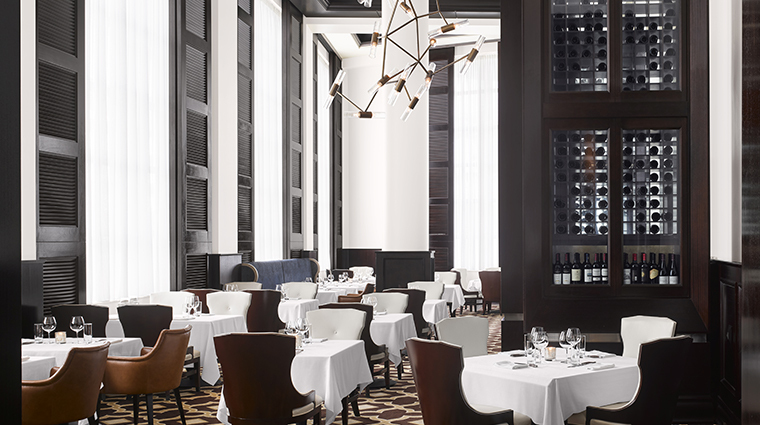 Just across the lobby, you’ll find another star-studded spot in Geoffrey Zakarian’s Point Royal. 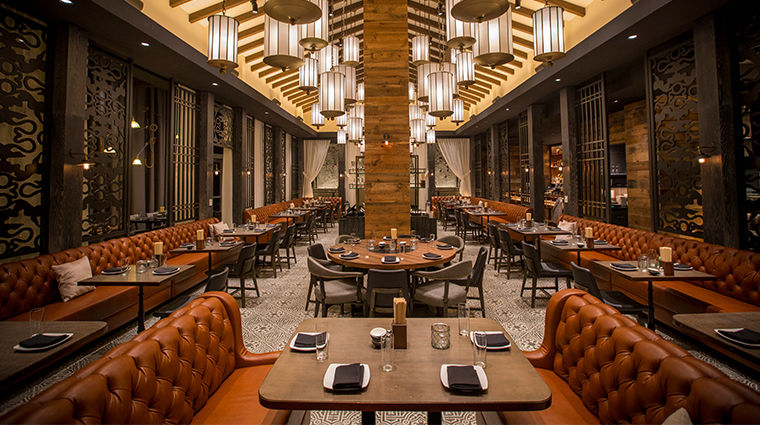 The Food Network chef’s coastal American restaurant lures in seafood lovers with an ever-changing daily oyster hour, the largest wine list on the property and an impressive breakfast buffet. 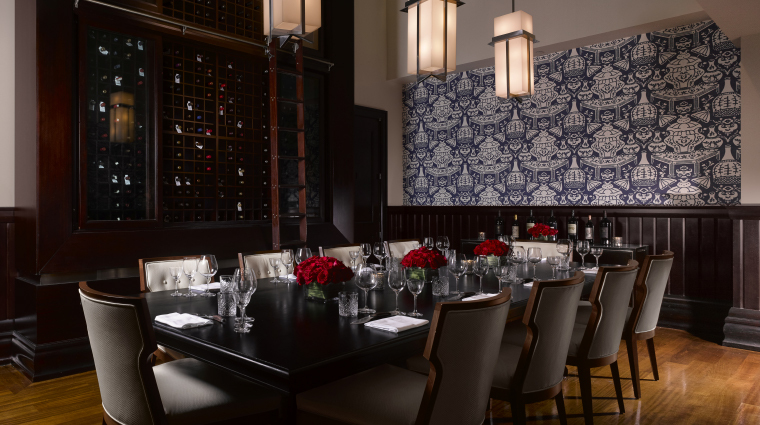 The sophisticated Diplomat Prime, redesigned as a 1950s-inspired steakhouse, serves fine wines and an updated menu of wagyu beef aged in house, duck fat fries and jumbo shrimp cocktails. Playa, the resort’s beachfront Nuevo Latino restaurant, features an extensive rum and tequila selection, while The Hotel Bar crafts updated signature cocktails from iconic properties around the world. 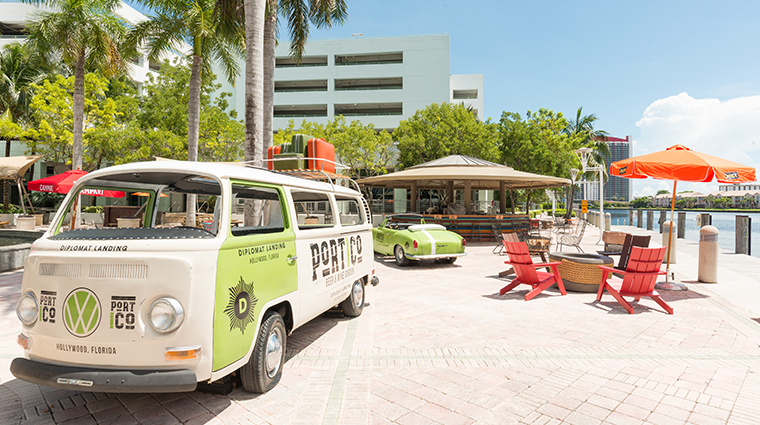 At Diplomat Landing, there’s classic Americana joint Bristol’s Burgers, as well as Portico, a beer and wine garden that begs for an alfresco sunset drink. Candy & Cones, another delicious onsite destination, attracts families with housemade ice cream and confections.